Today more than ever men and women are interested in facial rejuvenation procedures. The “pulled” or “operated on” appearance of decades ago is a thing of the past, and the goal of all facial rejuvenation surgery is a refreshed, natural result.This procedure’s primary goal is to improve the jawline and neckline in order to provide a more youthful appearance to the lower face. 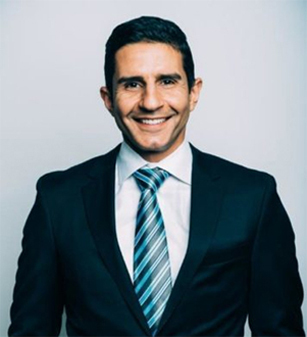 If you make the choice to undergo this plastic surgery in Seattle with Dr. Salemy, he will tailor the procedure to achieve the results you desire. With particular attention to achieving a balanced, refreshed look, Dr. Salemy will also utilize injectable soft-tissue fillers and skin tightening chemical peels to enhance the results of your facelift. In time, gravity, sun exposure, and the stresses of daily life take their toll on our faces and necks. Deep creases appear beside the mouth, the jaw line slackens and becomes jowly, and the neck develops loose folds and fat deposits. Facelifts counteract these signs of aging by tightening muscle, removing fat, and trimming excess skin, giving your face a fresher, youthful look. After surgery, some patients look 10 to 15 years younger. Facelifts can produce a dramatic improvement in appearance for patients with the problems mentioned above. However, facelifts do not stop the aging process; in time, signs of aging will gradually appear once again. Additionally, a facelift cannot change your fundamental appearance. Further, facelifts will not rejuvenate the brow, eyelids, nose, and some of the midface. Patients who want to improve these areas may consider combining a facelift with fat transfer to the midface or cheeks, a browlift or eyelid surgery (blepharoplasty). During your consultation, Dr. Salemy will discuss whether a facelift is right for you. Facelifts are typically outpatient procedures and may be performed in an office-based facility, surgery center or hospital. At our Seattle plastic surgery office, patients may have a choice of IV sedation or general anesthesia. The procedure takes about 2 hours. Traditional facelift: The “full” facelift for rejuvenating the face, jowls and neck, including fat sculpting, lifting and repositioning of muscle and deeper tissues, and skin trimming and redraping. The incision front of the ear, travels around the earlobe, and behind the ear to the lower scalp at the hairline. Sometimes, another incision is made under the chin. Neck lift: A neck lift concentrates on jowls, loose skin on the neck, and fat under the chin. The incision is made around the ear lobe and behind the ear to the lower scalp. In all three methods, incisions are closed with stitches, and scars. Scars are hidden in the hairline and natural contours of the face. While there are many ways to perform a facelift, Dr. Salemy’s goal is to technically produce the most natural result with the least risk during the procedure. During your consultation, he will discuss the best method for you to achieve your desired results. After your rhytidectomy, Dr. Salemy will wrap the incisions in bandages. No draining tubes are required in most cases. Your bandage will be removed in 3 days, sutures in a week and surgical clips in 14 days. At first, you may experience swelling, numbness, bruising, and a feeling of tightness or tension in the face and neck. Your face may look uneven or distorted, and your facial muscles may feel stiff. Most of these usually resolve within 3 to 6 weeks, and sensation typically returns to normal within a few months. Scars become less red, raised, lumpy or itchy in time. Many patients return to work by the second week. Camouflage cosmetics can be used to minimize the appearance of bruising. Results of a facelift typically last around 10 years or so, but this varies depending on the individual. However, no matter how your skin ages, your jawline and neckline will continue to look much better than they did prior to your procedure. Possible complications of facelift include: bleeding, infection, bruising, uneven swelling or discoloration, allergic reaction to the anesthesia, skin blistering (usually only seen in smokers), and temporary or permanent loss of sensation in the face. 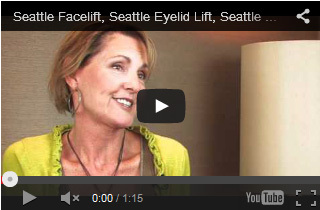 Dr. Salemy will discuss the risks and benefits of a facelift with you if you elect to undergo this plastic surgery in Seattle. Contact us today to schedule a Facelift consultation!